John E. Merow, a former chairman of the venerable Wall Street law firm Sullivan & Cromwell, who presided over its expansion as it opened offices overseas and pushed into areas like mergers and acquisitions, died along with his wife, Mary Alyce Merow, on Jan. 12 in a fire in his Manhattan apartment. Mr. Merow was 89, and Mrs. Merow was 85. A Fire Department spokesman said that the cause of the fire was under investigation, but that it was not considered suspicious. It started in the Merows’ ninth-floor apartment at River House, a prestigious 27-story building, built in 1930, along the East River at East 52nd Street. The building is also home to former Secretary of State Henry A. Kissinger and the actress Uma Thurman. The Fire Department said 78 firefighters and Emergency Medical Services responders were sent to the scene, and five suffered minor injuries. 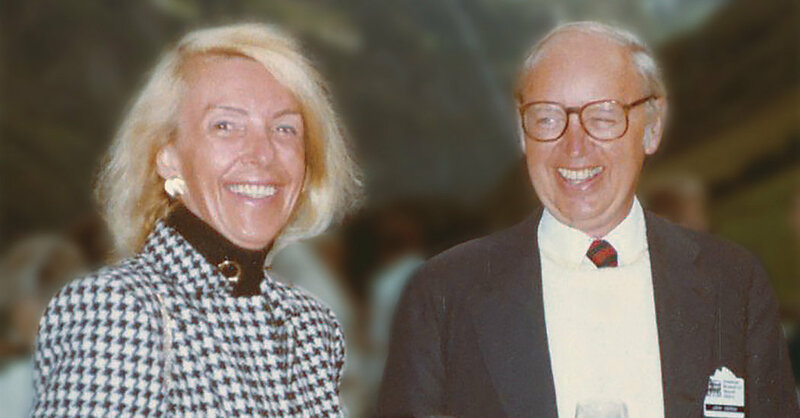 Mr. Merow, a lawyer whose clients included Kaiser Aluminum and affiliates of the mining company Rio Tinto, took the reins of century-old Sullivan & Cromwell in 1987, a time when Wall Street firms were broadening their services. No longer were they what the author Louis Auchincloss, who had worked at Sullivan & Cromwell from 1946 to 1951, called “green goods firms” — those that dealt mainly with securities offerings. On Mr. Merow’s watch, Sullivan & Cromwell opened offices in Los Angeles, Melbourne and Tokyo. Mr. Merow became chairman as Japanese companies were making big purchases in the United States, from Hollywood to Wall Street, with Mitsubishi buying control of Rockefeller Center and Sony spending $3.4 billion for Columbia Pictures. But Sullivan & Cromwell was facing crises close to home. One involved allegations about another senior partner, George C. Kern Jr., who had founded the firm’s mergers and acquisitions practice. The Securities and Exchange Commission charged that Mr. Kern had violated securities disclosure rules while defending Allied Stores in a hostile takeover bid by the Campeau Corporation. An administrative law judge ruled against Mr. Kern but did not impose sanctions. The S.E.C. eventually dropped efforts to set a penalty. Mr. Merow stepped down as chairman in 1994. He was born on Dec. 20, 1919, in Little Valley, N.Y., southwest of Buffalo, the son of Luin and Mildred Merow. He graduated from the University of Michigan in 1952 and served on a destroyer as a lieutenant in the Navy in the Korean War before going to Harvard Law School, where he met Mary Alyce Smith, who was working on the staff of The Harvard Law Review. They were married in 1957. Mr. Merow joined Sullivan & Cromwell after he received his law degree. Ms. Lisagor said Mr. Merow had loosened policies and practices at the firm. But the traditions of lawyerly etiquette and camaraderie prevailed, at least in public. After The American Lawyer quoted Mr. Merow as saying of rival firms, “We really don’t think that, all in all, Cravath or Davis Polk has quite the range of strengths we do,” he felt obliged to apologize to his counterparts — Samuel Butler at Cravath, Swaine & Moore and Henry King at Davis Polk & Wardwell. Mary Alyce Smith was born in Brooklyn on May 6, 1933, the daughter of Carl and Velma Smith. She graduated from Smith College and taught for a year in the Oklahoma City public schools before taking the law review job. After the couple moved to New York, she worked as an assistant to a partner at an executive recruiting firm. For more than 40 years, Ms. Merow recorded books as a volunteer for Recording for the Blind, which is now called Learning Ally, a nonprofit educational organization that has expanded to help children with learning disabilities as well as the blind. She mostly recorded general-interest textbooks. She stopped about a year ago because she had glaucoma and was herself having trouble reading, the president of Learning Ally, Andrew Friedman, said. The Merows are survived by a daughter, Alison, and two grandchildren. Another daughter, Ellen, died some years ago. Next PostNext His Art, Their Ideas: Did Robert Indiana Lose Control of His Work?